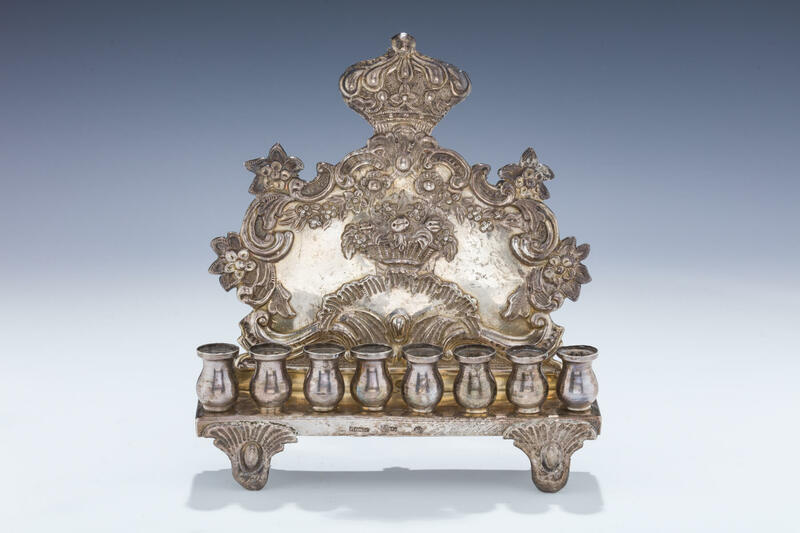 A SILVER HANUKKAH LAMP BY ABRAHAM REINER. Warsaw, 1860. On four feet with florally decorated back plate. 7”.